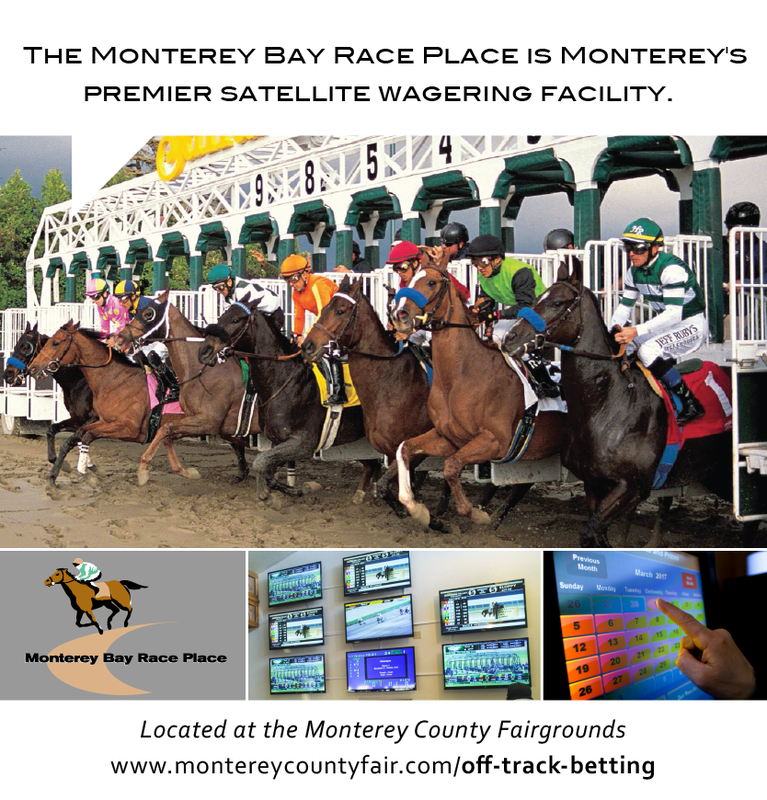 The Monterey Bay Race Place is Monterey’s premier satellite wagering facility. Conveniently located on the Monterey County Fair Grounds and Event Center, the Monterey Bay Race Place broadcasts over 12 tracks and hosts racing events & promotions throughout the year. Come down and make the Monterey Bay Race Place your new satellite wagering hub. You hear people win big on the Derby. You’ve seen it on TV Shows like the Soprano’s and stories from your grandpa, yet you’ve never placed a bet in your life. It’s actually easier than you think to get in on the fun! FYI – the average $2 exacta bet pays out $85! Let’s start with who we are first. The Monterey Race Place is a Live Satellite Wagering Facility. This means you can wager on a race in Florida, Dubai or Australia right from our location in Monterey via our Satellite Feeds, just like Dish Network only with access to horse wagering right in our house. Unlike Vegas, You’re Not Playing The House. In Satellite Wagering it’s not us vs. you. It’s you vs. the pot of all the wagers from around the world – at the tracks or at Satellite Facilities like ours. We’re actually here to help you because we get a modest cut of winnings and only if you win. You win, we win. This is just like the store that sells the winning lottery ticket scenario. The First Step – Realizing What You Can Bet. The Monterey Race Place provides all the racing literature that is available to everyone else. Combined with the local paper, you have access to as much research as anyone. With your best pick in mind it’s time to head to the window to place your bet. Want to get a little crazy? Here are some what is called “Exoctic Wagers” and as you guessed it, they pay out a little more!DOUBLE: Bet the winners of two consecutive designated races. The Second Step – To The Betting Window. Sitting back and watching is all fun and good, but you don’t want to go up to the betting window – that’s for the people who know what they’re doing. It’s actually easier than you think. First: Say the name of the track (Golden Gate, Aqueduct, etc.) This is important because Roberts Communications broadcasts races from many tracks simultaneously. Second: Say the race number. Third: The amount of your bet. For Win, Place and Show bets, the minimum amount is $2. You can usually play exotic wagers (Exacta, Trifecta, for example), for $1 units. Payout Facts You Should Know. – Favorites win 33 percent of the time. – Favorites place (finish first or second) 53 percent of the time. – Favorites show (finish first, second or third) 67 percent of the time. – The average Exacta pays about $85. – The average Trifecta pays about $655. – The average Superfecta pays about $3,850. – The average Double pays about $96. – The average Pick Three pays about $600. – The average Pick Four pays about $3,480. We are excited to announce the beginning of a new horseplayers club in California; the CalRacing Club. Below we lay out the in’s and out’s to horse racing.